Named after the "Twente" region. The complex includes three halls: "Grote Zaal", "Kleine Zaal", and "Congreszaal". Used as a touring venue. Closed 2008. 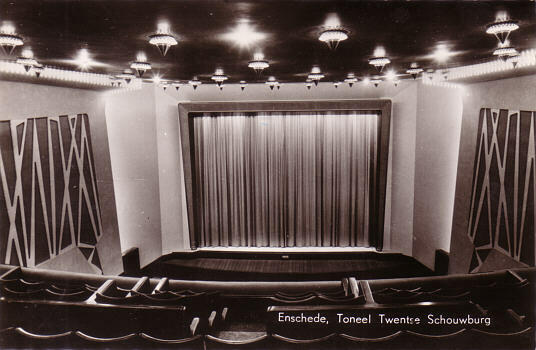 Front Text: "Enschede, Toneel Twentse Schouwburg"